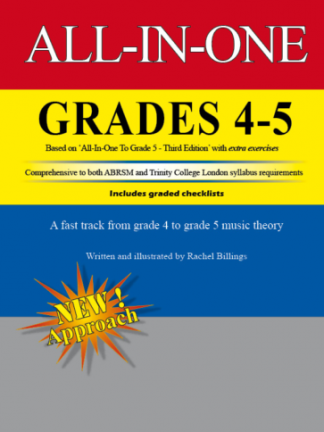 All-In-One Answer Book Grades 1-5 contains answers to All-In-One to Grade 5 music theory (3rd edition), All-In-One: Grades 1-3, All-In-One: Grades 4-5 and the Trinity Supplement booklet. 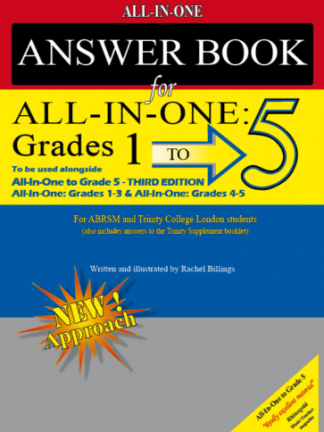 All-In-One Answer Book Grades 1 to 5 should be used alongside the THIRD EDITION of All-In-One to Grade 5, All-In-One: Grades 1-3 and/or All-In-One: Grades 4-5. 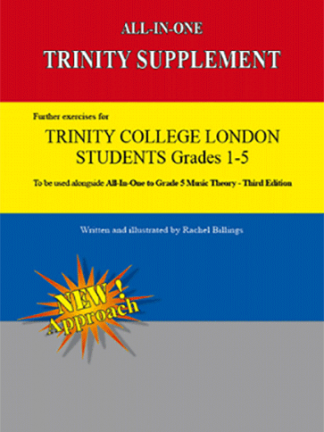 Also includes answers to the Trinity Supplement booklet. This Answer book is NOT at all compatible with previous editions of All-In-one to Grade 5. 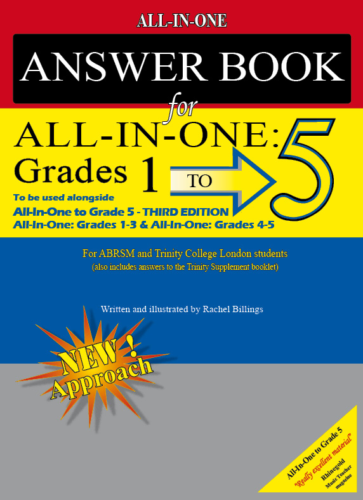 The appendix contains answers to the extra questions included in All-In-One: Grades 1-3 and All-In-One: Grades 4-5. Arranged in the same way as the All-In-One workbooks, in four colour coded chapters (Chapter 1: Notation, Chapter Two: Time, Chapter 3: Tonality and Chapter 4: General musicianship). The three ‘Graded course /checklists’ have been reprinted here so that students, who will already be familiar with at least one of these methods, will be able to find topics and their new corresponding page numbers quickly and easily. In the majority of cases the answers given are the only acceptable ones although some alternative answers have been given in brackets (e.g. when notes written in a different octave would also be appropriate). The composition questions for vocal and instrumental melody can be answered in a variety of ways therefore two examples have been given for each exercise. 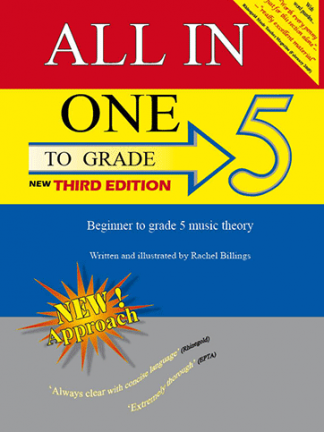 All-In-One Answer Book Grades 1-5 is one of ten books available in the All-In-One series of music theory books.